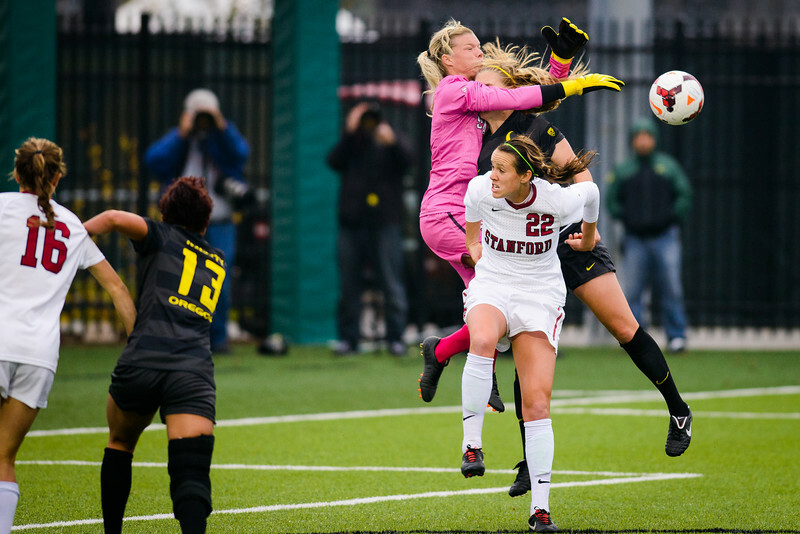 Cardinal goalkeeper Jane Campbell, left, collides with Oregon forward Kristen Parr, right, as Cambell attempts to punch the ball out of the goal box during the final minutes of the first half. The Oregon Ducks play the No. 8 Stanford Cardinal at Papé Field in Eugene, Ore. on Oct. 25, 2013.